We advertise your business behind auto rickshaws. Auto rickshaws travel entire city. At very low cost, you can advertise on all roads of your city. 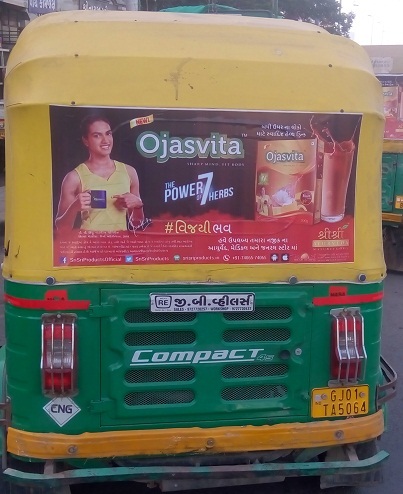 In traffic and while driving, people see your advertisement behind auto rickshaws. 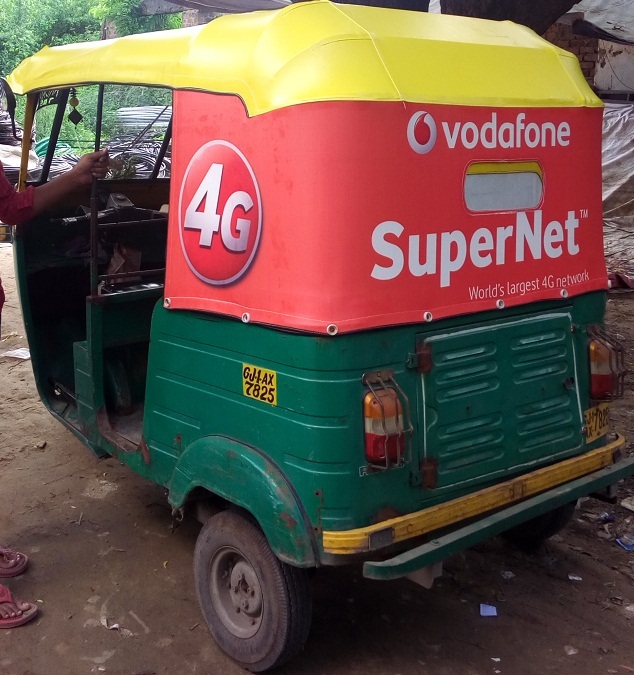 Flex Banner Ads: Flex banners of 3 Ft x 2 Ft are applied behind auto rickshaw with sellotape. We use high quality transparent sellotape, so that your banner is visible even after sellotape. 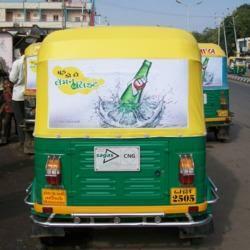 Vinyl Banner Ads: Vinyl banner sticker is sticked behind auto rickshaws of size of 3Ft x 2 Ft. It is a sticker advertisement, so there are less chances of removal of your ad from the auto rickshaw. Hood Advertisement: Your business ad is printed on the hood of auto rickshaw. In this advertisement, your ad is placed on all sides of the hood.